Airport aims to buy its electricity from a mainland solar facility in Freetown. 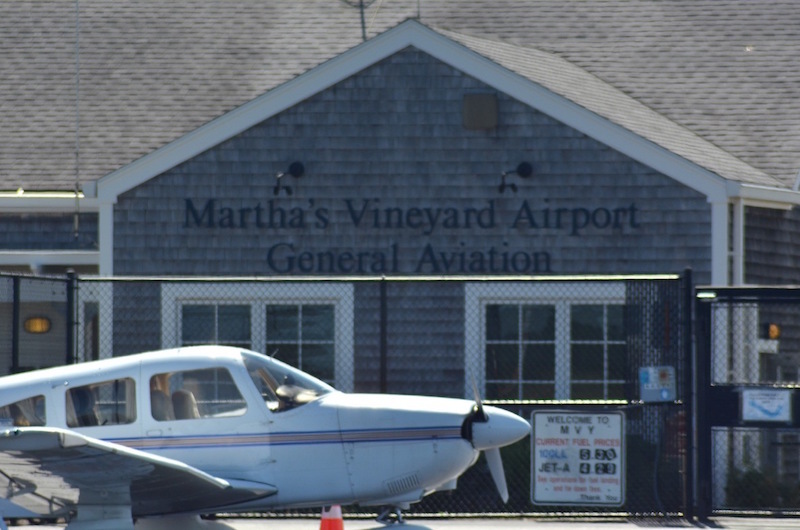 Aiming to save money in the long run, the Martha’s Vineyard Airport commission voted last week to buy the bulk of the electricity for the Island airport from a New York private equity fund that develops solar power facilities. Under the terms of the contract, the airport will buy power from Syncarpha Capital, produced by a solar power facility already completed in Freetown. The airport will receive a tax credit for buying renewable energy, and then pays a portion of the tax credit to Syncarpha Capital. As a government organization, the airport can get a larger tax credit than the company would get as a private entity, commission chairman Myron Garfinkle explained. He said the airport will realize $825,000 in profit from the deal over the 25-year term of the contract. Mr. Garfinkle said Syncarpha Capital will earn $3.7 million in tax credits, but would earn much less if it does not partner with a government organization. Mr. Garfinkle said the airport’s current electricity costs are approximately $130,000 per year. Also at the Sept. 8 commission meeting, Mr. Garfinkle said the airport’s new master plan will be ready for review by the Federal Aviation Administration next month, and will include an expansion of the airport business park. Assistant airport manager Geoff Freeman said construction of a new airport rescue and firefighting building gets under way on Sept. 19 with site work and equipment staging. He said a temporary facility will be built to house fire trucks and snow removal equipment during construction. Aircraft operations will not be affected. The project is scheduled for completion by the end of next year.